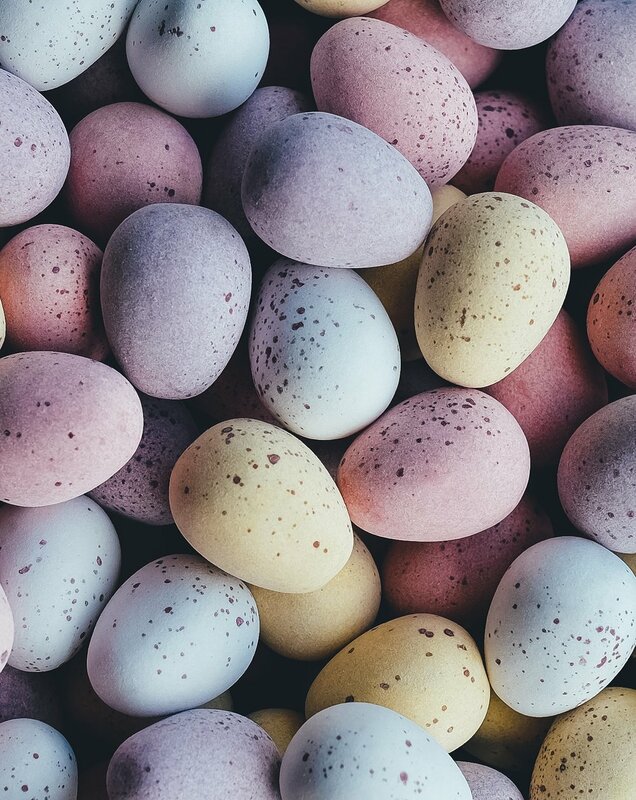 Easter can be an extremely exciting time of year for brands looking to shake up their social media game and boost engagement among their followers. Ranging between festive captions and colourful content to social media giveaways and product discounts, there’s no shortage of tactics to help enhance your social media presence as the holiday draws closer. All you need is an engaging concept, your own creative flair, and a strong social media plan going into the season. Sounds simple enough, right? Here are 5 easy social media tips for Easter to get the ball rolling. Easter is the only time of year you can successfully and effortless dust off some of your best Easter related puns and sprinkle them into your captions. If you’re ‘egg-cited’ to have an ‘egg-cellent’ Easter, let your audience know! It can be a great way to add more personality into your online voice, while also ensuring these dynamite puns don’t go to waste. Hosting a giveaway on social media can deliver a platter of worthy benefits to your brand, and Easter is the perfect ‘eggs-cuse’ (sorry) to run one. Start off by determining the prize of the giveaway - aim to share enticing, festive images to attract the interest of your followers to overall increase participation. Next, outline the rules for entering. Do they have to follow your account? Like the photo? Share the post? These instructions should be clear and simple. Once the contest has run its course and you’ve gathered all the entries, pick a winner, announce it on your page, thank everyone for participating and wish everyone a happy Easter. While running your giveaway, remember to follow the guidelines of the social media platform. Click here for our step by step guide for planning a social media giveaway. Easter can be a great opportunity for you to get creative with the content you’re sharing. By adding a collection of festive elements to your photos/ videos, you can create a sense of excitement among your followers, which in return can help to enhance social media engagement. So, what sort of elements can you start incorporating into your content? You can’t go wrong with the classics - decorative Easter eggs, baskets, rabbits, and chocolate. Not to mention, adding splashes of pale yellow, pink, light blue, and green can help to send out those Easter vibes. Aside from visual content, you can also approach Easter as an opportunity to write an Easter-themed post for your blog. Select a topic within your niche, put an exciting holiday twist on it, and start sharing it across your social media channels to boost views. It could be as simple as a seasonal recipe or a home decorating guide to Easter. Easter and sales often go hand in hand, so the holiday can be the perfect time to offer discounts on some of your popular products or services. As a little gift to your followers, share exclusive discount codes across your social media platforms, including the products valid in the sale as well as an expiry date. Not only can this increase sales on your website, but you can also gain an insight into the number of followers that are clicking through to your website. Nothing screams Easter more than an Easter Egg Hunt and social media platforms such as Instagram and Facebook are perfect for hosting them. Start off by giving your followers plenty of notice prior to the virtual event so you can build some hype and encourage as much participation as possible. Let them know when the hunt will take place, what the prize is, and what they have to do to win. Paid social media ads can be a great tool for expanding the reach of the competition. There are a few different ways to run a social media Easter Egg Hunt - one method is to post an image daily with hidden eggs (only in a handful of the images). This encourages followers to come back to the page and regularly check. On the other hand, some pages post between 20 to 30 images in one day, with eggs hidden in only 5 to 10 of the photos. Once all the eggs have been found, you can announce the lucky winner at the end of the competition. This particular path can be much more exciting, although bombarding your news feed with all these photos can be a nuisance to those unaware of the event. Boost engagement among your followers and establish meaningful relationships by hosting a user-generated content contest. Encourage your audience to pose with your product in a seasonal setting or urge them to show-off their chocolate haul for the year, and share these posts on your brand’s page (with permission and tagging their account in the post). These are just a few examples - get creative with a concept that best reflects your business. Although these contests can be slightly more time consuming when it comes to entering, you may get some really unique content for your brand in the process. There’s no ‘one size fits all’ approach when it comes to a brand’s social media, so do some brainstorming and orchestrate a social media plan to best suit your business this Easter.